The Serbia international has impressed since moving to the Red Devils for £40 million, and has taken a dig at his former employers. 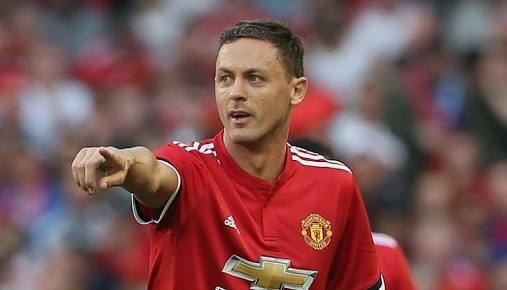 Nemanja Matic feels Manchester United are “definitely” a bigger club than his former side Chelsea. The midfielder spent three-and-a-half years in his second spell at Chelsea, winning the Premier League twice in that time before moving to United ahead of this season in a reported £40 million move. Matic was named man-of-the match in his Premier League debut as Jose Mourinho’s men impressively beat West Ham 4-0 last weekend. He is loving life at United and risked the ire of his former club’s fans by claiming he was in no doubt his new side were bigger. Asked if United were the biggest club he has played for, Matic told Sky Sports: “Definitely, everyone knows what Manchester United is about. “When you say Manchester United, it is different. “Also Chelsea is a big club, Benfica are the biggest club in Portugal. But Manchester is Manchester. “After every training session, they are waiting for us outside the training ground to take pictures, to give a signature so I think the club is one of the biggest in the world. Matic revealed it was an easy decision to join a club of United’s stature, particularly given it was his former boss who Mourinho came calling. “He was very important for me,” Matic said of Mourinho. “He bought me to Chelsea from Benfica and now when I decided to come to Manchester, he was a reason to come here. “Mourinho was the reason and so was the club, Manchester United, so you don’t need to think a lot about if you are going to come.